Zhong Yu Tang and Ji Wen Kai spend a day out around town. A game of hitting balloon targets that Ji Wen Kai plays at a street store and wanting squid pieces over the grand prize of a giant plushie toy brings Zhong Yu Tang to reveal to Ji Wen Kai she had won not only the red toy car that Ji Wen Kai has displayed in his office, but also the yellow one Ji Wen Kai had wanted back in high school. When Ji Wen Kai asks Zhong Yu Tang where that one had gone, Zhong Yu Tang explains that she had thrown it out when he didn’t show up at the amusement park. Talk of this time in their lives has Ji Wen Kai mention to Zhong Yu Tang how he and her have been in a relationship with each other for a long time. Zhong Yu Tang doesn’t understand Ji Wen Kai’s meaning. Ji Wen Kai explains that they’re two people who had cared about the other and got angry at the other. They had been people who thought about the other when they were happy and when they were having a difficult time. Zhong Yu Tang finds it to be true. She feels they lack photos with having only one photo with the two of them in it together when they have been in a relationship for a long time. The photo Zhong Yu Tang refers to is the one that was taken in the cellphone store when the two had gone there to purchase a cellphone for Meng He during the time when it was difficult to get Meng He to join them for a celebration dinner in the weekends. Zhong Yu Tang shows Ji Wen Kai this one photo of them together. It has Ji Wen Kai suggest they take a few more on location. The happy and fun mood that has taken place so far becomes an emotional one for Zhong Yu Tang. She turns away as Ji Wen Kai looks happily at the photos they have just taken. She struggles to hold in the tears that seems to want to flow. Ji Wen Kai is empathetic. He brings her to face him with a gentle hand and hold of her chin. “Look at you—always trying to be strong. How can I let you go?” Zhong Yu Tang shakes it off. “I’m fine,” she says, smiling and turning away all whilst keeping her tears in. Evening arrives. Ji Wen Kai and Zhong Yu Tang return home to Ji Wen Kai’s apartment. Zhong Yu Tang thanks Ji Wen Kai for keeping her company for the entire day. Some unwillingness to end the night seem to come from both Zhong Yu Tang and Ji Wen Kai. “It’s really late,” Zhong Yu Tang says. “Well then… I’ll—” Ji Wen Kai cuts Zhong Yu Tang off. “Wait a second,” he says; then brings her lips to him with a hold of her chin and gives her a long kiss. Ending the kiss, Ji Wen Kai tells Zhong Yu Tang he doesn’t want to let her leave. “I wasn’t leaving,” Zhong Yu Tang says. 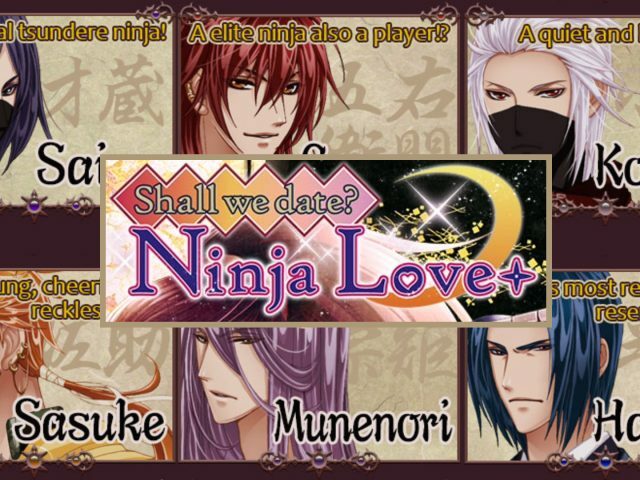 “I also want to see you a bit longer.” Zhong Yu Tang then suggests a way to allow them to part without finding it difficult to do so: “How about we do this, then? I’ll leave after you fall asleep.” Ji Wen Kai tells Zhong Yu Tang she will have trouble leaving when he has a story to tell. It’s a story that will be long like the Lord of the Rings trilogy and the Hobbit story combined. Zhong Yu Tang is up for it. In fact, the longer it is the better. The next morning, Ji Wen Kai finds himself waking up on the sofa without Zhong Yu Tang there. 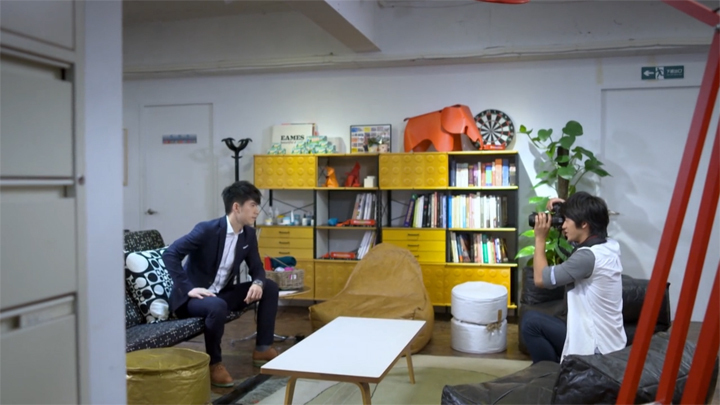 He gets up and reaches for a pot plant (presumably Zhong Yu Tang’s) that’s placed on the table and stares at it for some moments before bringing it to the kitchen countertop and sets it there. Some more moments looking at it, he leaves and prepares for his day at work. While Zhong Yu Tang seemingly has a flight to catch (seen leaving her place with her luggage in hand), Ji Wen Kai heads to work. 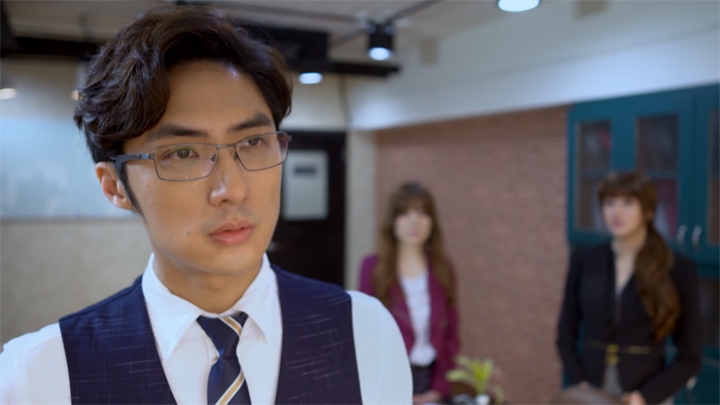 Entering into the company, Ji Wen Kai faces criticism and ostricism for the embezzlement they believe he’d carried out. Employees openly express disgust towards him and see him as the reason the company will go bankrupt. Ji Wen Kai has only the members of Sales Team 3 defending him. They defend him against those expressing Chairman Shen having had hired such a person who they gather was someone who found going to prison worth embezzling $300 million. Ji Wen Kai has problems with getting contracts through. 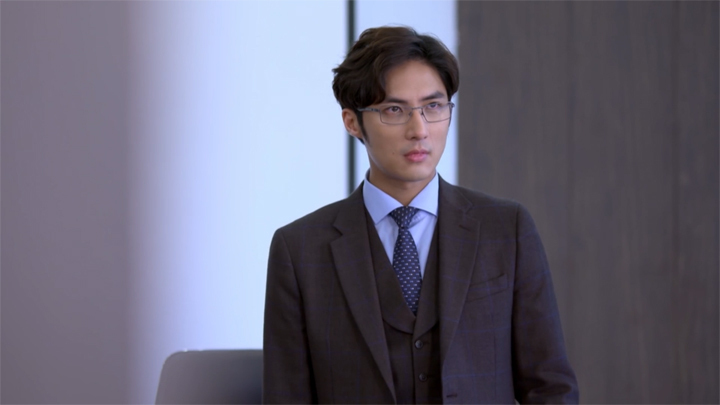 Though willing to meet Ji Wen Kai at the office, a chairman known as Chairman Huang tells Ji Wen Kai the contract with them will depend on the outcome of his meeting with the board of directors. And Ji Wen Kai’s secretary falters working for a person currently under bad spotlight. She enters into Ji Wen Kai’s office, handing in her resignation. 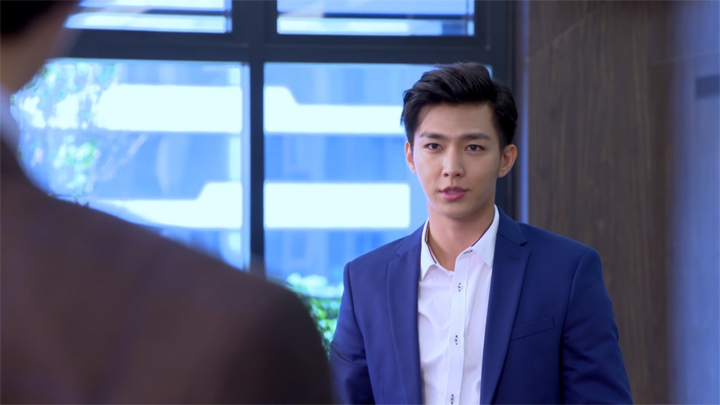 Wang Zi Yu is given the news that his plan for Zhong Yu Tang to leave Tianxi and Ji Wen Kai has happened. Wendy confirms it for Wang Zi Yu when she tells him that after seeing them together on the day Ji Wen Kai and Zhong Yu Tang spent going out around town together, she hasn’t seen Zhong Yu Tang around anymore. Wang Zi Yu is unhappy, however. He’s unhappy that he was not amongst Zhong Yu Tang’s choices. Miao Ai Sha asks Wang Zi Yu what he’s going to do about his promise he made with Zhong Yu Tang. “My promise will only count if she comes to work at Shinway!” Wang Zi Yu shouts. 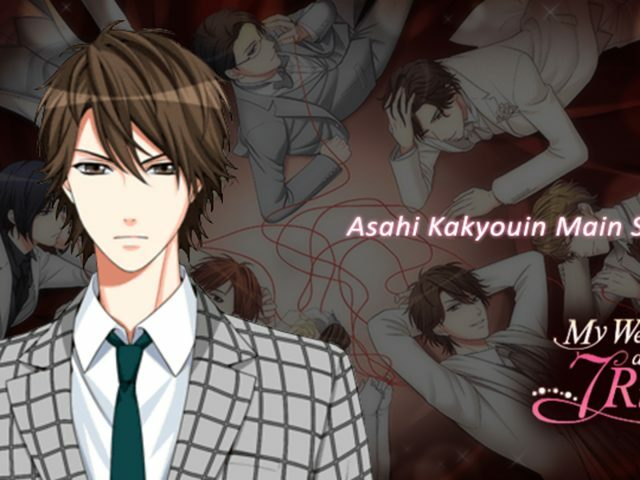 Seemingly finding his unsightly outburst of the truth, he changes his meaning to say that he isn’t able to let him off just because he wishes to when embezzlement is a crime. As a general manager, he also can’t afford to take on the debt. Ji Wen Kai will have to be responsible for it if he isn’t able to provide the evidence to prove his innocence. It’s the morning of the day Ji Wen Kai has a meeting with the board members and Wang Zi Yu to sign the merger contract. 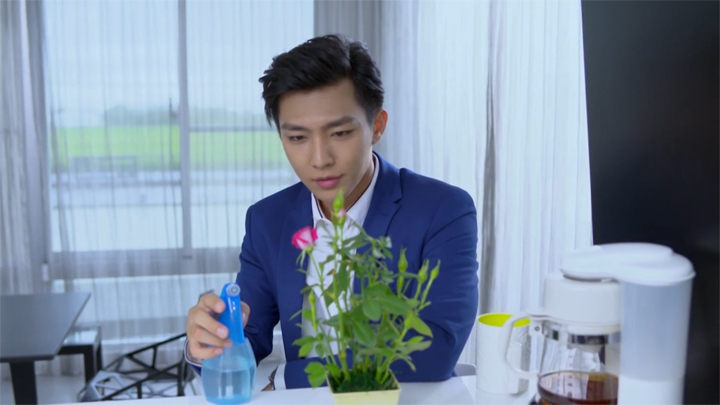 Before heading into work, Ji Wen Kai tends to the pot plant on the kitchen countertop that bloomed a pink rose flower. At work, he finds Manager Jia entering into his office with security guards, instructing the guards to be watchful of what Ji Wen Kai takes with him when he leaves to make way for a new person in charge. The bold actions from Manager Jia has Ji Wen Kai express that he must have someone present with him to speak and act so boldly. Wang Zi Yu enters, announcing he is he who is present and giving Manager Jia the audacity to speak disrespectfully to him without fear. Wang Zi Yu takes the opportunity to once more remind Ji Wen Kai that Shinway owns over a third of Tianxi’s shares. This allows for a change of a person to be in charge of Tianxi when the merger takes place. Wang Zi Yu tells Ji Wen Kai there isn’t a possibility Chairman Shen can change the outcome of him dismissing him. Miao Ai Sha then enters. She informs Wang Zi Yu the meeting for the merger contract signing is waiting for him to attend. Wang Zi Yu acknowledges before turning back to Ji Wen Kai. He calls Ji Wen Kai the former CEO of Tianxi and invites him to attend this meeting. He gives his final words of telling Ji Wen Kai he will sue him if he isn’t able to explain the $300 million by the time the contract is signed. 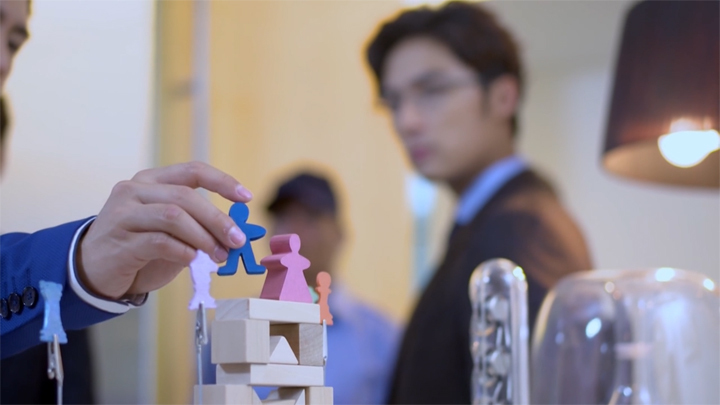 The words has Ji Wen Kai direct a cold glare towards Wang Zi Yu before he guides Wang Zi Yu’s attention to the wooden block castle representing his troops with placing the blue wooden figure block representing him back onto the castle next to the pink one representing Zhong Yu Tang. Wang Zi Yu looks on the action curiously before he leaves to attend the meeting. Wang Zi Yu’s plan for the merger to go his way doesn’t occur when a secret plan Ji Wen Kai has been working on comes to fruition. Zhong Yu Tang enters into the meeting with Mr. Tapko—Mr. Tapkovsky—at the moment Wang Zi Yu begins signing the contract for a merger of Shinway and Tianxi and after Ji Wen Kai gives a nod to Chairman Shen of things to be okay when Chairman Shen hovers his pen over the contract. Zhong Yu Tang’s entrance with Mr. Tapkovsky surprises Wang Zi Yu. When Mr. Tapkovsky heads to Miao Ai Sha and Miao Ai Sha has a friendly conversation with Mr. Tapkovsky in Russian, he asks Miao Ai Sha for an explanation for this and for what was happening. Zhong Yu Tang, Miao Ai Sha and Ji Wen Kai take turns explaining the situation for Wang Zi Yu: Mr. Tapkovsky is here to sign a contract on behalf of a company known as Tianxi DD. 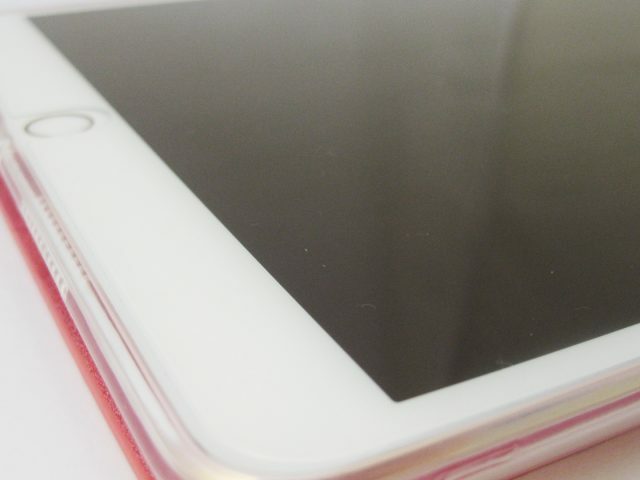 Tianxi DD is a company formed at the time when the value of Tianxi and Shinway shares fell due to fake Mei Mei products circulating in the market. The investment comes from none other than Ji Wen Kai. The $300 million that Ji Wen Kai took out on his account was used to form Tianxi DD on behalf of Tianxi and Mr. Tapkovsky. 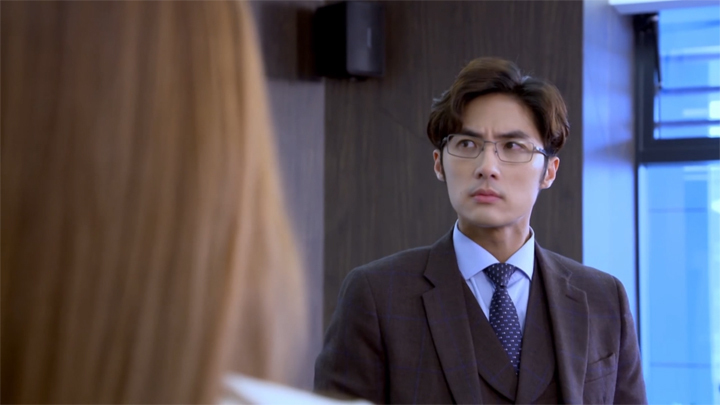 Wang Zi Yu’s realisation that Miao Ai Sha had known of Ji Wen Kai’s plans occuring behind the scenes brings a flashback showing Ji Wen Kai having come to Miao Ai Sha’s apartment after Miao Ai Sha gave Wang Zi Yu the folder containing information of the $300 million Ji Wen Kai took out on his account. Wang Zi Yu asking Zhong Yu Tang if she had also been in on the plan, a flashback explains that after Ji Wen Kai had told Zhong Yu Tang he had a long story to tell her at the apartment, Miao Ai Sha arrives to deliver the tickets to Russia that Ji Wen Kai gives to Zhong Yu Tang to take a trip there. We also find out that Zhong Yu Tang had already had a clue to this secret plan of Ji Wen Kai’s. She had gotten an inkling of a clue at the meeting where Ji Wen Kai had asked her and her Sales Team 3 colleagues to delay taking action of informing the press of a verification seal being put into Mei Mei’s product design to handle the matter of the fake Mei Mei products in the market. Her next clue had been when Huang Jia Yin told her that her ex-husband’s company in Singapore had a joint venture with Tianxi and a Russian partner. Another two flashbacks rounds up the explanation of how Zhong Yu Tang is able to bring Mr. Tapkovsky to Taiwan without issues of language barriers with a flashback showing she has been taking Russian lessons from Miao Ai Sha and the earphones she puts on every time she works on the puzzle is how she picked up the language to enable her to converse Russian fluently. With explanations given, Ji Wen Kai asks Wang Zi Yu to sign and allow the merger to take place. He asks Wang Zi Yu to agree to this opportunity that he sees can take their two companies up another level. Wang Zi Yu, holding a pen in the air, can only find the situation as him having circled around to wound up in an outcome that didn’t see him the victor and forced to sign the contract for the merger to take place. Wang Zi Yu exits the meeting with Manager Jia, defeated. Ji Wen Kai calls out to them both. He wishes to see Manager Jia return to Tianxi and take the position under Meng He as her assistant manager of Sales Team 1. Ji Wen Kai asks Manager Jia to take time to think it through. Manager Jia respectfully takes in the advice and leaves his two superiors to speak. 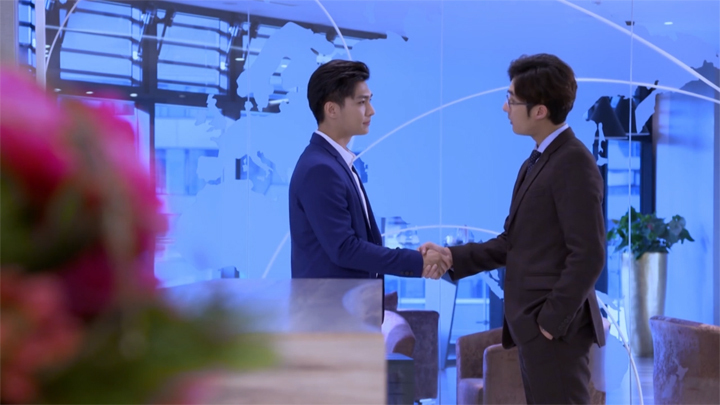 Ji Wen Kai’s conversation with Wang Zi Yu sees them both on friendly terms by the end of it when Ji Wen Kai expresses his desire for Shinway and Tianxi to work well together like they had done so previously and Wang Zi reveals he had happily and willingly signed the contract when he sees the collaboration to allow Shinway to go internationally. A desire from Wang Zi Yu to show Ji Wen Kai he is able to withstand tests brings Ji Wen Kai to express to Wang Zi Yu that he already knows of his strong ability to withstand tests. It’s for this reason he doesn’t wish for him to be his enemy but his friend. 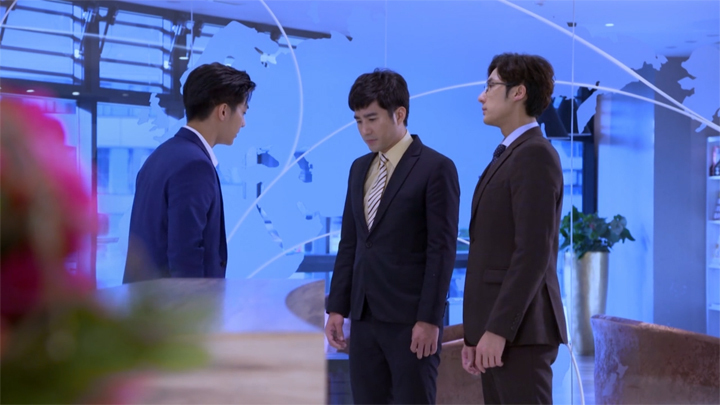 Ji Wen Kai catches Sales Team 3 up on the outcome of the meeting and explains Wang Zi Yu had been the mastermind behind the problems they faced and is the reason he’s wanting Shinway to be a partner of Tianxi when they express the move to be much too gracious of him. Ji Wen Kai also reveals to Sales Team 3 he had not foreseen the situation of fake Mei Mei popping up and expresses being thankful Sales Team 3 had come up with the authentication seal to solve the situation. The positive outcome has Sales Team 3 ask for a celebration dinner. However, with Ji Wen Kai unable to make it because he has an appointment to attend (with Zhong Yu Tang it seems as he turns tto her when saying this), they ask for several days of leave. 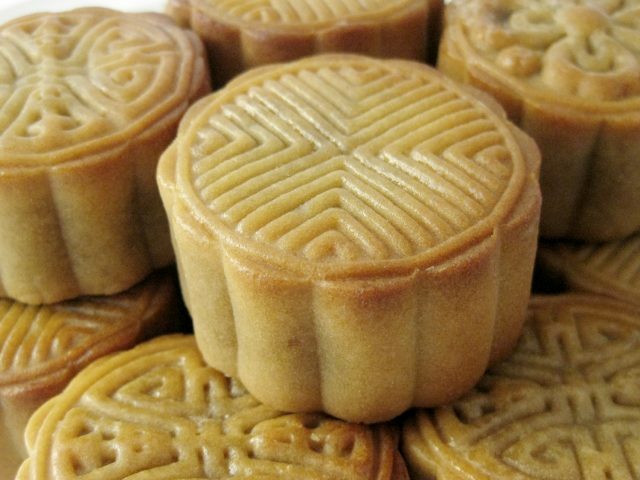 This request Ji Wen Kai grants with three days leave—much to the delight of Sales Team 3. The past replays. 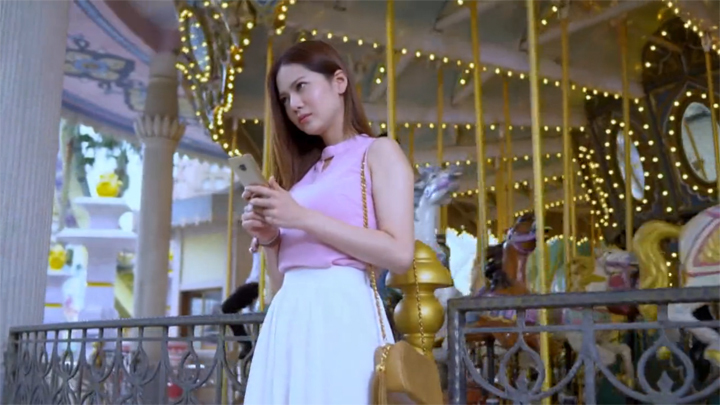 Zhong Yu Tang waits for Ji Wen Kai to arrive at the amusement. A person in a lion suit appears. Unknown to Zhong Yu Tang, the person in the lion suit is Ji Wen Kai’s friend, Cai Sheng Ren. He has a recorder pen around one of the arms. It’s the recorder pen that Zhong Yu Tang had snatched from Ji Wen Kai and had tried to listen to the contents of it ten years ago. 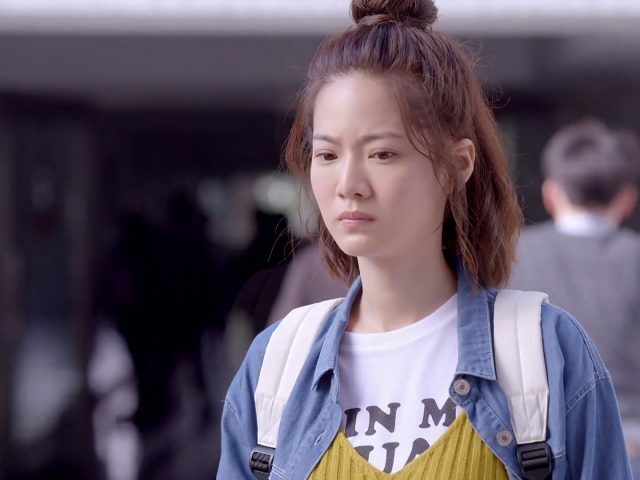 This time, Zhong Yu Tang hears the confession recorded on the recorder pen and asks herself why she hadn’t known the person he had wanted to confess to was her. She tells the lion to whom she believes is Ji Wen Kai she has completed the puzzle and knows he had shown up. She thanks him for having always taken care of her. Cai Sheng Ren reveals himself after this, surprising Zhong Yu Tang. She wonders why he’s here. He simply explains he was here with his darling. His darling appears. It’s her friend, Wang Hai Di. Zhong Yu Tang curious to how they know each other, Wang Hai Di explains it’s through meeting in her father’s shave shop after Ji Wen Kai’s recommendation to Cai Sheng Ren of their shop’s shaved ice. Ji Wen Kai appears with a bouquet of 10 roses that Ji Wen Kai places into Zhong Yu Tang’s arm and explains the 10 roses to represent each year he wasn’t by her side. They are a bouquet of roses that is also to apologise for being late and for causing her to be embarrassed from talking to someone behind a lion suit that wasn’t him when Zhong Yu Tang complains of being so. Ji Wen Kai asks Zhong Yu Tang if she has finished her task of completing the puzzle. She has. Ji Wen Kai allows her she can now ask those questions she had said she wanted to ask. But Zhong Yu Tang tells Ji Wen Kai she is smart; she has figured everything out already after completing the puzzle. Wang Hai Di and Cai Sheng Ren leave Ji Wen Kai and Zhong Yu Tang to be with each other alone after they find awkwardness when Ji Wen Kai went to kiss Zhong Yu Tang, but Cai Sheng Ren stopped him and left with Wang Hai Di shortly after. 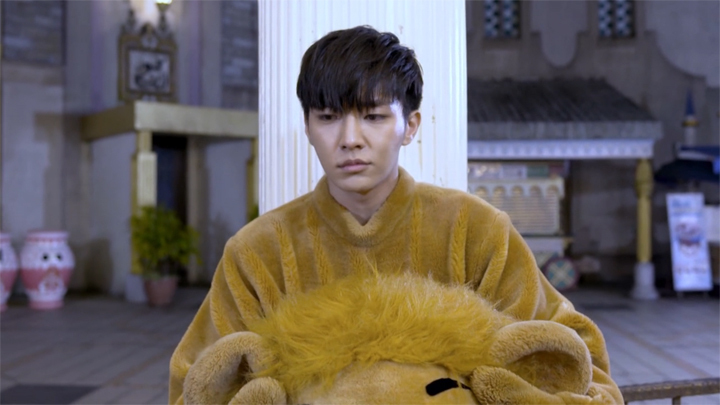 The scene brings Ji Wen Kai to explain the reason why he showed up in a lion suit at the amusement park. It was that he was embarrassed he couldn’t keep his promise to take the university entrance exam because he had to leave the country. He’d hid behind a pillar some distance away for some time before appearing before Zhong Yu Tang in a lion suit. He wanted to become someone Zhong Yu Tang could lean on before appearing before her. 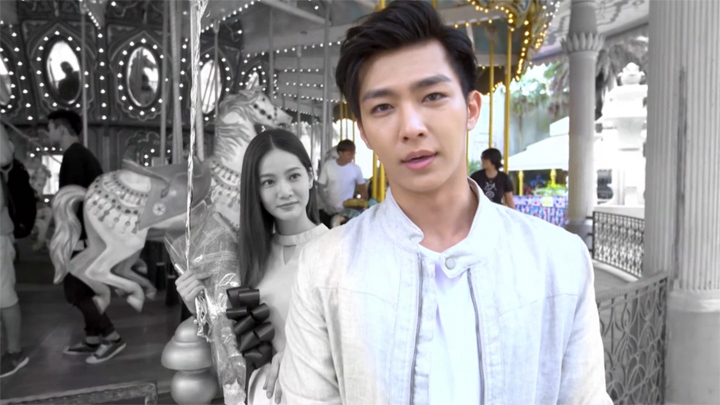 This scene concludes with Ji Wen Kai and Zhong Yu Tang riding on the merry-go-round. 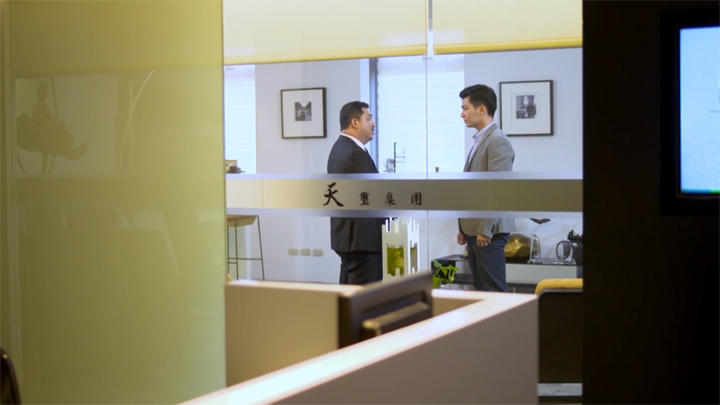 Voiceover of a conversation taking place between Zhong Yu Tang and Ji wen Kai is heard: “Ji Wen Kai, you really came back,” Zhong Yu Tang says. “Of course. What I say I’ll do, I do it. I want you to know that regardless of whether you are happy or sad, I will be here forever,” Ji Wen Kai responds. We come to an epilogue showing Sales Team 3 promoted to Sales Department 3 with Meng He promoted to the assistant manager of the sales department. Meng He also has a positive outlook in love with her neighbour fortune teller informing her that his reading of her being a lonely star is due to him having not confessed to her. But, he will do so at eight tonight, downstairs at the recycling location. The fortune teller also tells Miao Ai Sha she has someone coming her way as well—a friend who will confess. 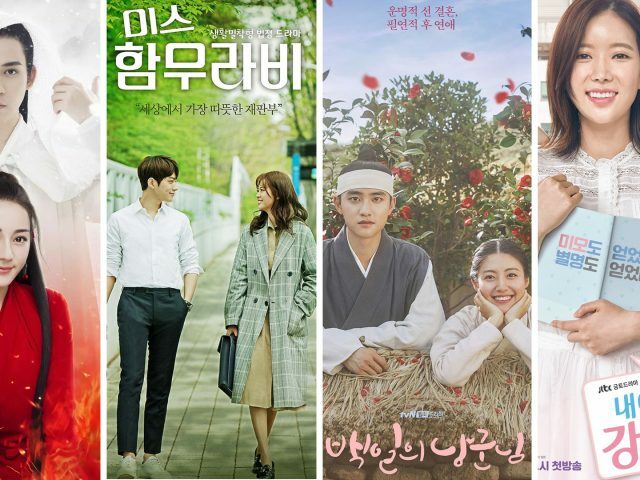 Chen You Rui has a great career; Huang Jia Yin continues to be successful as a salesperson with her set to be on a cover of a magazine and she has the support of her ex-husband; and Zhu Liang Yu has become a well-known author with Huang Jia Xin by his side as his cover design artist. Their novel about a true life story about a secretary and a boss is being turned in a television series. And Zhong Yu Tang is the general whilst Ji Wen Kai is the soldier as he takes care of the household duties in his home whilst Zhong Yu Tang sits at the table reading magazines and having breakfast made for her by Ji Wen Kai. We like that it was a happy ending for all. But, the final episode didn’t go out as well as we thought it would. There were so many flashbacks used to piece together and make sense of so much new information in this episode. We don’t understand why it couldn’t have been present time scenes—ones that ran throughout episodes and become points of development. There was even a flashback in a flashback scene! The flashback scene that came in during a flashback scene was the scene of Ji Wen Kai promising to do well in the exams. It came in during the flashback showing Ji Wen Kai hiding behind the pillar. Maybe the reason for seeing so many flashbacks in this episode was due to the series being shortened, but the short-cutting was noticeable and it was not good. 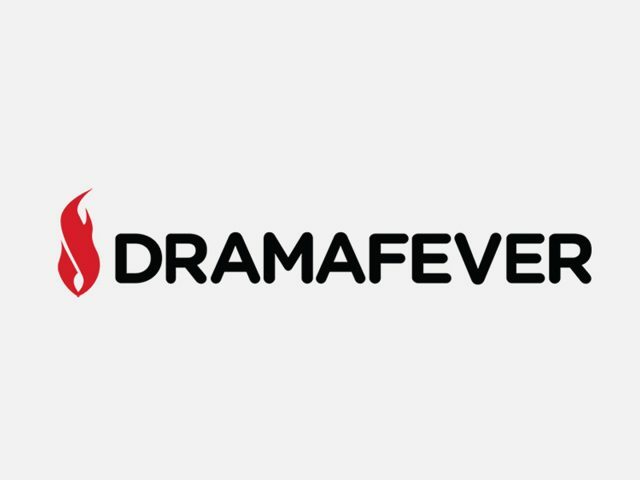 Overall, Refresh Man is not a series we’d revisit. There was a lot of facts hidden and scenes were really deceiving. These made it very hard to enjoy the series. We always find stories that have a bit of predictability to be the most fun to watch. Refresh Man seem to be all about pulling one over you. For example: Wang Zi Yu. 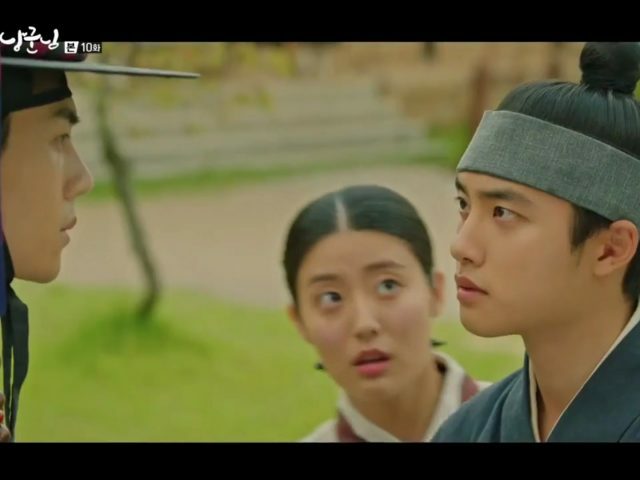 He came off as the prince-like second male lead character who showed no hints of being a bad guy. He was through and through the typical second male lead character who came across as root-able. But then, over half way through the series, suddenly he’s told to actually have been secretly working to try taking over Tianxi. Suddenly, he’s evil or bad. There’s Miao Ai Sha changing sides: scenes and dialogue made her look like she really has switched sides. 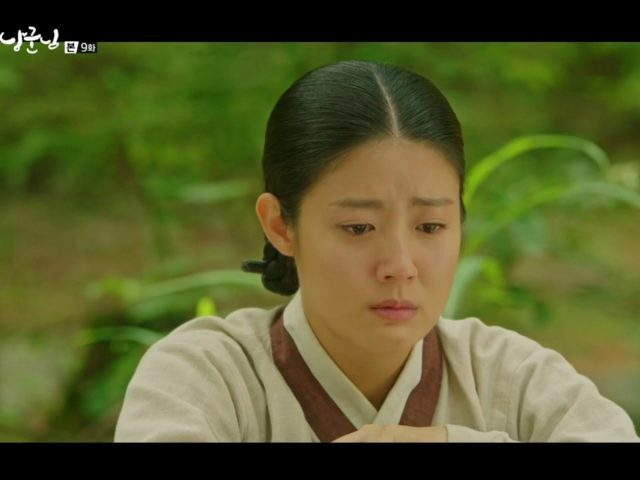 There was nothing suggesting she was just working against Ji Wen Kai to give Wang Zi Yu a false sense of achieving victory over him until the end. We find out in this final episode, in just one flashback, she’s told to have been working on Ji Wen Kai’s side all along. 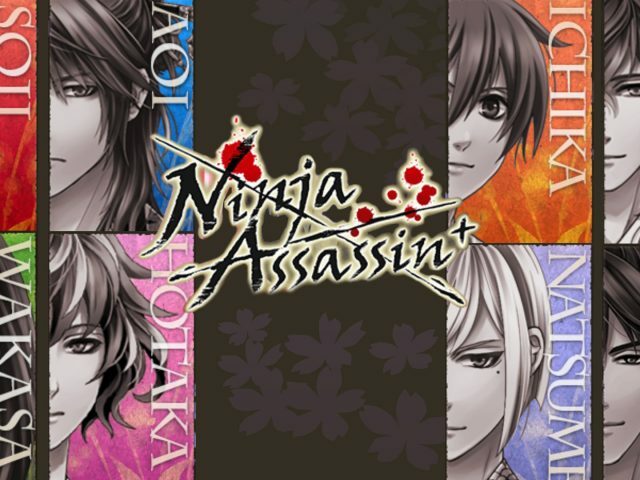 We don’t see why we weren’t informed of Miao Ai Sha being a spy. No entertainment would have been lost if we were kept in the loop. Actually, we think we’d be even more entertained had we been kept in the loop for this one. There’s also Zhong Yu Tang balling her eyes out, but eventuating to nothing that needed her to cry like that. The story built the situation to make it seem like Zhong Yu Tang had no other choice but go against what she wanted to do. It made it look like the only way to lessen the pressure for Ji Wen Kai was for her to work for Wang Zi Yu. But, we find out she actually had a way out; and that was secretly work for Ji Wen Kai. After resigning, she could now be let in on Ji Wen Kai’s plan to carry out the final task to bring his secret plan to win Wang Zi Yu. Ji Wen Kai and his secret plan—that was kept hidden well. 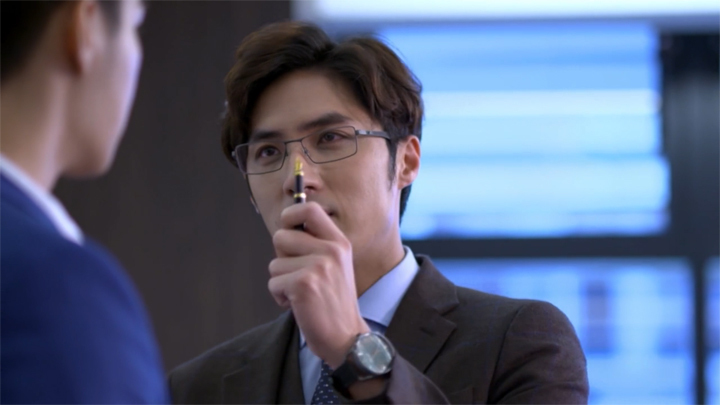 Ji Wen Kai was seemingly very well-prepared for Wang Zi Yu’s attacks based on what was revealed in this final episode. Wang Zi Yu actually had no chance. 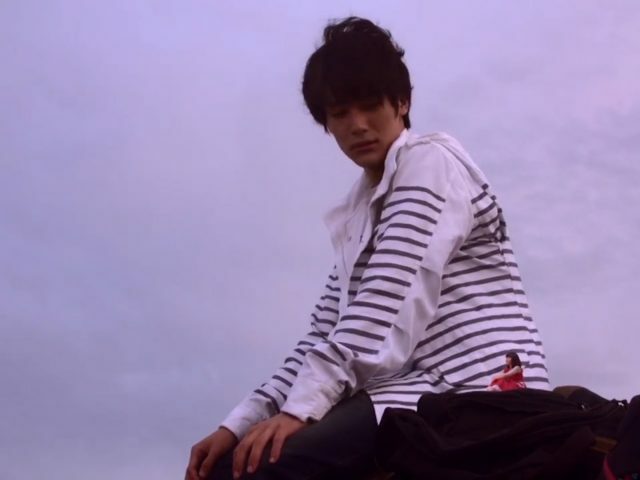 We didn’t get any scenes that showed Ji Wen Kai was very well-prepared, though. Instead, we got scenes showing Ji Wen Kai looking like he was in a dire situation with Ji Wen Kai looking like he was struggling more and more with handling the immense pressure Wang Zi Yu was giving him with Wang Zi Yu’s attacks that were working very well to bring him down. But now knowing how much was actually going Ji Wen Kai’s way behind the scenes and beyond our knowledge, Ji Wen Kai should have been shown to feel somewhat apprehensive, but rather confident. Ji Wen Kai seemed to have the backing of Chairman Shen when Chairman Shen seems to be aware of the secret plan; Mr. Tapkovsky was Ji Wen Kai’s best friend and told to only wish to work with Ji Wen Kai of Tianxi; and Miao Ai Sha changing sides was part of Ji Wen Kai’s secret plan. There was no need for Zhong Yu Tang to resign at all. 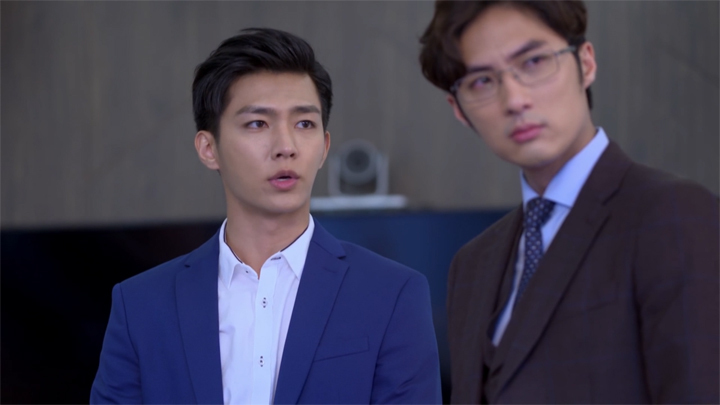 Getting Ji Wen Kai to tell Zhong Yu Tang to fake a resignation would have gotten the story to the point it got to in this episode. But instead, we see Ji Wen Kai lacking confidence and feeling the pressure which got Zhong Yu Tang to resign herself to ease the supposed pressure Ji Wen Kai was under. We’d much rather see Ji Wen Kai and Zhong Yu Tang being shown as a well-matched couple who work extremely well together in work and see them both defeat Wang Zi Yu than a dramatic separation of Ji Wen Kai and Zhong Yu Tang that lasted one day before Ji Wen Kai brought Zhong Yu Tang into his plans which saw her help him get the victory over Wang Zi Yu. We didn’t like the barely noticeable clues that Refresh Man provided as hints towards plot developments. 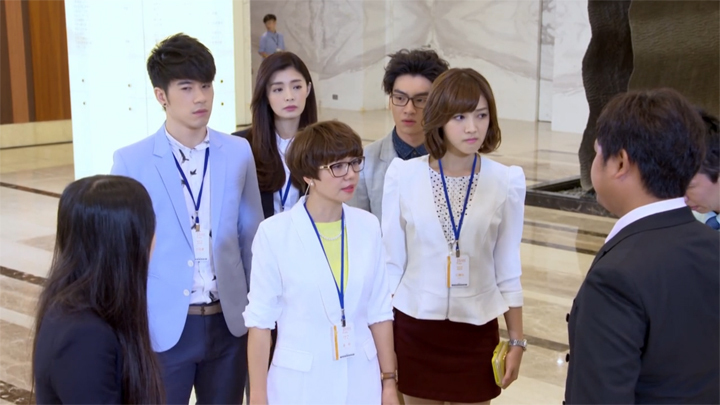 There was Miao Ai Sha’s sad faces; Miao Ai Sha’s lingering glare as she closed the door after her meeting with Wang Zi Yu; Zhong Yu Tang’s headphones; there was the focus on Manager Jia’s elated clapping in the meeting Wang Zi Yu spoke about working hard to earn his position; Ji Wen Kai’s sudden preoccupation with his phone when Zhong Yu Tang talked about whether Wang Zi Yu could persuade his father to allow Mei Mei to include their egg shell bio-product into its formula; and there was the pot plant and blooming flowers. 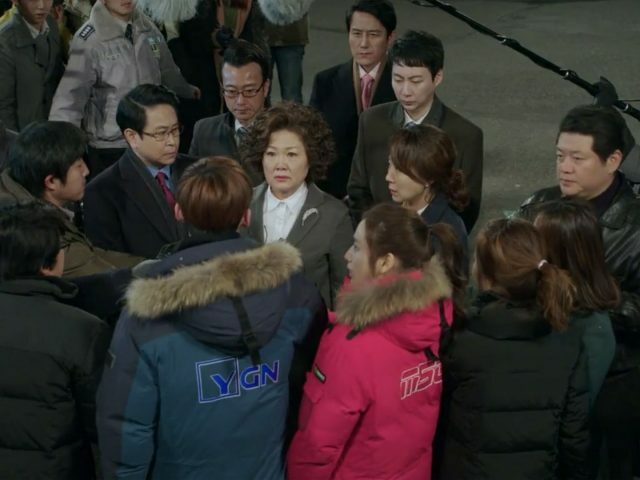 Except for the headphones that Zhong Yu Tang put on every time she worked on the puzzle, we found them all to be suspicious and/or curiously interesting; but, because some of them also look so much like just part of the scene, we dismissed them. We know now they were clues and hints to what was to come. The headphones that Zhong Yu Tang put on every time she worked on the puzzle, though—this ‘clue’ was way, way, way too subtle. We didn’t even so much as thought of that one as a clue! That sort of an action is maybe Zhong Yu Tang finding piecing puzzles a monotonous task so she needed something to keep her awake and chugging on. Or it’s that she likes listening to something whilst doing something else. It definitely doesn’t say Zhong Yu Tang is learning Russian and listening to Russian! We weren’t even told Zhong Yu Tang was learning Russian or that she needed to learn the language until after the fact. What kind of a clue pointing to plot development is that?! And yet! We get taken to it through a flashback scene at the merger meeting saying it was a clue. Refresh Man also didn’t utilise the characters in Sales Team 3 well. 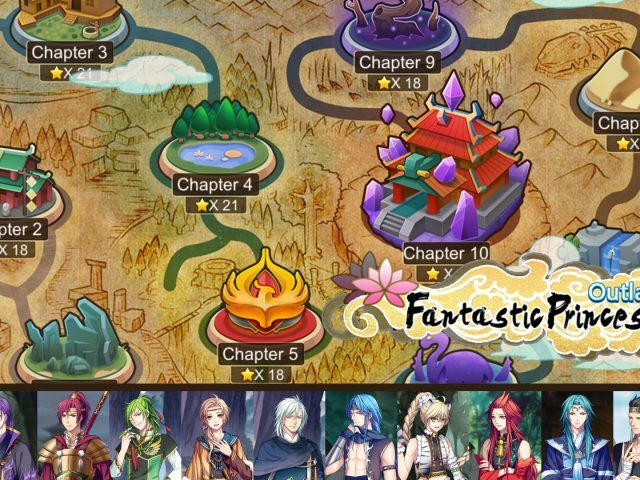 We thought this group of characters would be where the story would focus on. 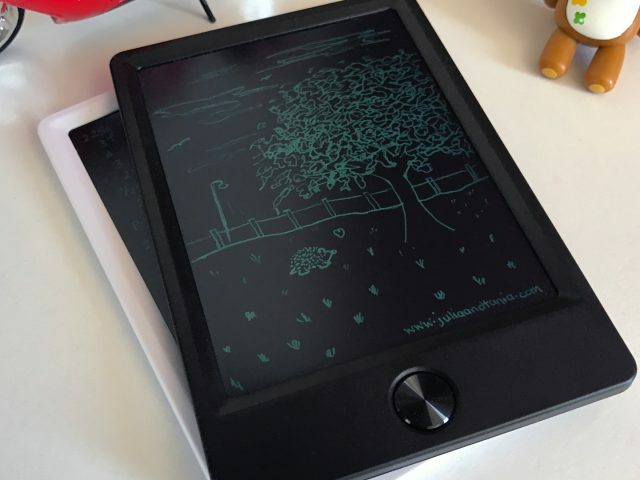 We thought we’d see some situations that would allow us to see them working and showing off their talent in gaining customers and selling products. 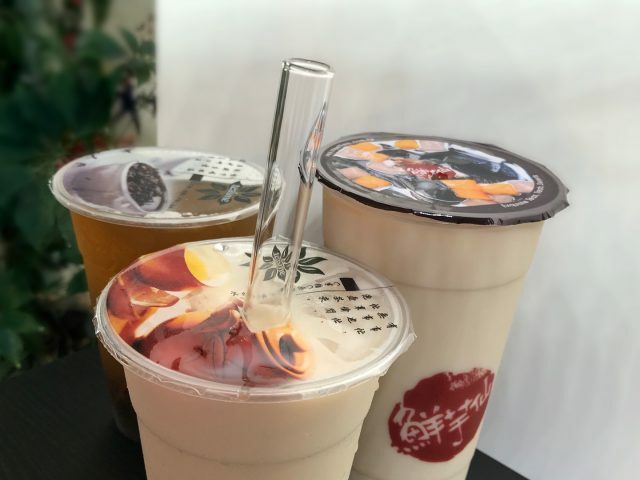 We should have seen a bit of Meng He using her wealth of knowledge, Jiang Hui Xin using her social skills and fashion knowledge, Zhu Liang Yu using his talent with words and Chen You Rui and Huang Jia Xin using their sales experience to overcome obstacles and win over customers. We were told they transformed into talented salespeople; but, we feel they stayed more or less the same people that they started off being. It’s just that they wear more professional clothes than before and they work at work and do overtime. Sales Team 3 really didn’t seem like salespeople who had the skills to overcome sales obstacles when Ji Wen Kai was the one who got them out of every single problem they came across with his status, connections and incredibly great foresight! 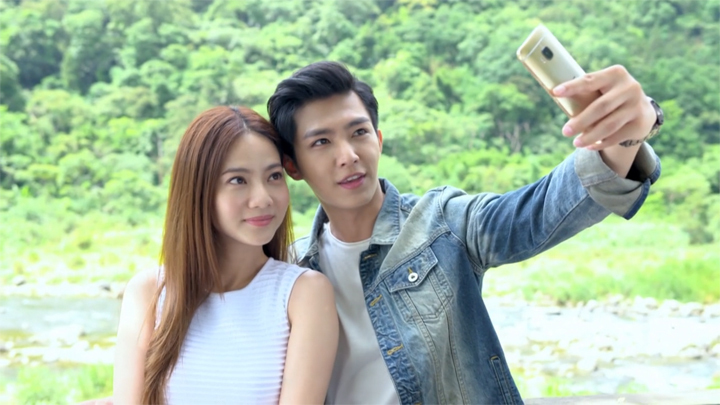 The relationship between Zhong Yu Tang and Ji Wen Kai was, at times, cute; but, there were too many flaws in the way the story in the series was plotted to have us find Refresh Man a good watch.